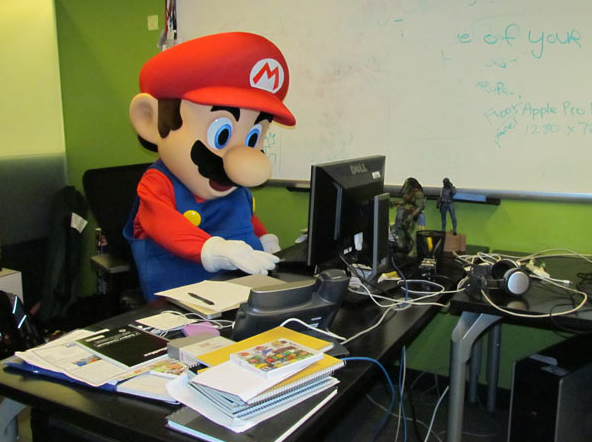 In many workplaces around the world, playing video games is prohibited, which is completely logical, because "working time" refers to the time when employees should be working. But if ever employers believe that games are the biggest killer of productivity, there is some fresh news for them - the games at work are actually useful. Psychologists came to the conclusion that companies should encourage playing computer games at work, not to prohibit, as it increases productivity, reduces absences and relaxes better than surfing the Internet. Computer games during a short break after the hard work that requires great concentration, are a great way to relax. They encourage rapid psychological recovery after boring routine, and are kind and prevention of many diseases that occur as a result of stress in the workplace, according to recent studies. Scientists from the University of Utrecht, Netherlands did research among 60 employees at a famous German insurance company. Some of the employees were allowed over a month, one hour of the working day to devote to playing games. The results showed that these workers have become more productive and more satisfied and developed a more positive attitude towards work. Games can be very useful if used strategically and functionally as develop competitive spirit, according to Professor Jeffrey Goldstein. It workplace could mean increased sales and competitiveness of the company and for the employee means increased productivity and less stress and fatigue. Relaxation through computer games takes just as much time for coffee break, and is far more useful, says Professor Goldstein. It allows extenuating circumstances back from vacation to work and makes very painless return. One party "Solitare" with a few clicks of the cards is an effective strategy to break the job monotony and charge the batteries. Scientists who studied the positive impact of computer games on productivity claim they also allow easier understanding of the "rules of the business game", if you see the work as game with obstacles, levels and "queens" who need to pass. Work projects are similar to those missions in the games - you have catchy that you need to pass using different skills, knowledge and good strategy. If "Angry birds" need a different and more complex strategy for each new level, and the work responsibilities you need to choose the right way to achieve the desired goal. "Final Fantasy", on the other hand, with its recording of all the tasks could be your example of keeping a diary of work and a useful guide to future projects. Engineer by education and a SEO by profession. I work hard to provide people with the right answers, and direct them to the right path. How to deal with a boss who yells? How to Improve Communication in the Workplace?